This blog is an effort to publish all those things which this author of yours thought won't see the light of the day in a world driven by market. Bodies governing sports have a point in not allowing show of political lineage but the line between political and humanitarian issues is increasingly getting blurred. 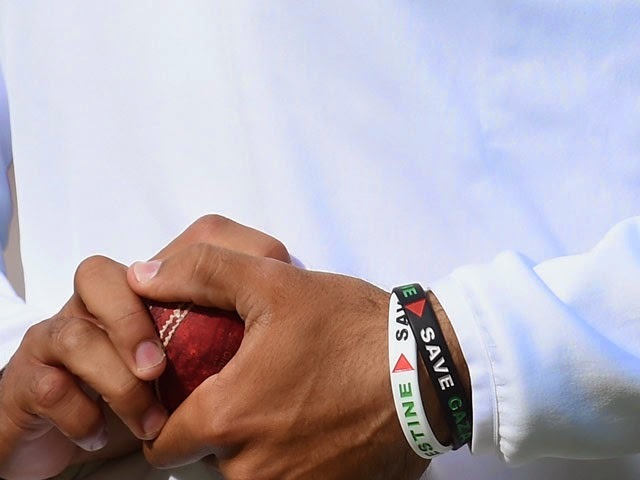 England cricketer Moeen Ali's wristbands that read 'Save Gaza' and 'Free Palestine’ during the second day of the third Test against India in Southampton stirred up a hornet's nest but a walk down memory lane will tell us that this is not the first such instance of a sportsperson making a political statement, Nor, I suspect, will it be the last one. Post-retirement, can we expect a more eloquent Sachin? A big Peter Roebuck fan, Himanshu Shekhar is a cricket addict and a journalist. He writes on sports, primarily cricket, and is not afraid of expressing his views on political issues. He has covered two cricket World Cups in his career that began in 2006 at The India Today Group. He has had stints with Zee Media, ESPN Star Sports,Times Internet and NewsX before joining msn.com as Sr. Associate Editor.